Think Biosolution has announced plans to scale up and expand their business in 2017. The tech startup makes personalised medical devices for use by fitness enthusiasts and medical professionals. While in college, Dr Shourjya Sanyal and Koushik Kumar Nundy identified a gap in the market. Dr Sanyal was studying bioengineering and Mr Nundy was in the middle of an electrical engineering degree. Dr Sanyal noticed a lack of diagnostic equipment available to help his grandmother. He decided to develop a diagnostic product that was both accessible and affordable. “Our friends thought we were mad, but we self-funded the development through writing software for other IT companies,” said Dr Sanyal. They were successful in building a prototype vein detector for intravenous injections and other systems such as illumination optimisers and electrophoresis systems. At this stage, Dr Sanyal was completing a PhD in UCD while Mr Nundy was working as a graduate researcher in Singapore. They continued their collaboration using Skype. Mr Nundy subsequently moved to Ireland. 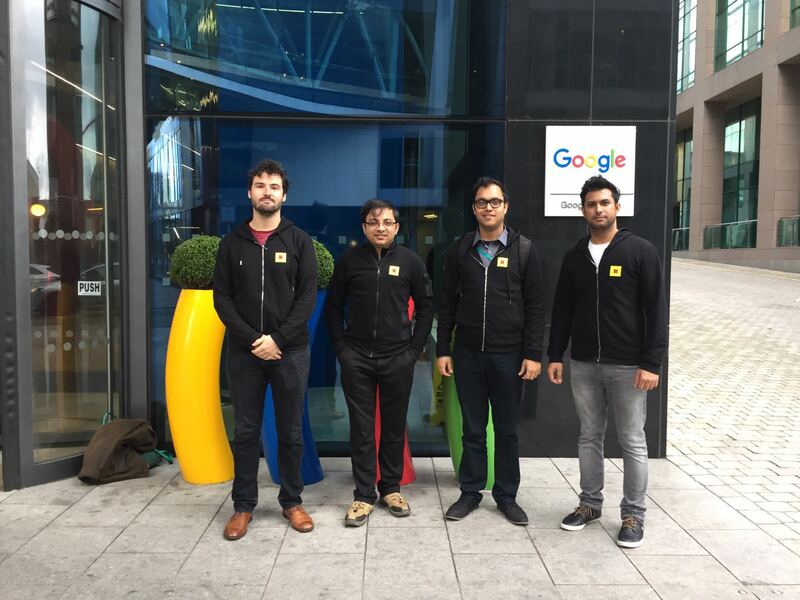 In 2016, their company were accepted into the National Digital Research Centre (NDRC) in Dublin. “I was already studying in UCD, English was the main language and then there is the whole area of product experience and marketing. India is a very strong hub for technical innovation but the flip side, the product itself has a better track record in Europe and North America.” Dr Sanyal said. Space in the NDRC gave the startup access to venture capital, experts and private equity investors. Their second product is designed to empower fitness enthusiasts to exercise smarter. QuasaR is a wearable fitness monitor that allows users to monitor and improve their performance. Think Biosolution’s plan is to develop a partnership with a major sports apparel company capable that can help them to bring the product to a global market. They are also hoping to secure their next round of investment funding within the next six months. Commenting on the plans for expansion, Dr Sanyal said “We have the product and now we want to move to market – which is why we are taking an “initial fitness focus”. This will give us the breathing space and investment to continue our work in the medical diagnostics market which is our main inspiration. The company has won awards at the Startup Weekend in Delhi and at the Deloitte Top Tech Award in 2016. They were also finalists in the Future Health Summit Innovation Awards, a semi-finalist at SPIE Startup Challenge in San Francisco and were accepted onto the Google Adopt a Startup in January 2017.